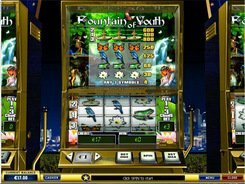 Get transported to the magic forest brought to life by Playtech in the five-reel 25-line Forest of Wonders slot game. 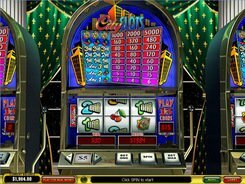 This magnificent slot includes the characters of a world famous novel: Mad Hatter, Cheshire Cat, Caterpillar, White Rabbit, Dormouse, etc. To start your unforgettable adventure, you need to place a bet in the range of $0.01 to $250. The Dormouse is the wild symbol that replaces other symbols, except for the scatter and the Bonus icon. Five little creatures gathered on any active payline will bring you 5000 coins. The White Rabbit serves as the scatter. 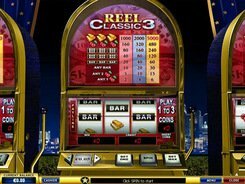 Once three of them roll up anywhere on the reels, you must select one rabbit that will give you a specific number of free spins. Another bonus game is triggered by three and more mushrooms. You are taken to a forest meadow where you can pick three out of 12 mushrooms, with each having its own award. The highest loot you can catch is $20. 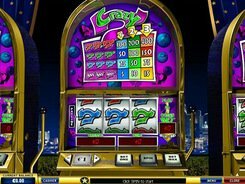 Forest of Wonders is included into the Dollar Ball progressive jackpot system. Enable the feature by putting a stake of $1. To try to hit the grand prize, you must select five numbers from a total of 49 and then spin the reels. 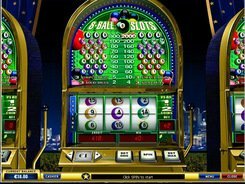 If the numbers appeared on the reels after they have stopped match your selection, you win the progressive jackpot. PLAY FOR REAL MONEY!